Sports have always been an integral part of Kim St-Pierre’s life. Growing up in Chateauguay and later Saint-Jean-sur-Richelieu, St-Pierre would spend her summers playing soccer, tennis and softball, as well as being an avid swimmer. But come winter it was all about hockey. Hockey provided her with the most notoriety and acclaim, most recently in the form of an induction into the Panthéon des Sports du Québec this past September. St-Pierre is now involved with Build Our Kids’ Success, a physical activity program for elementary students to start their day. 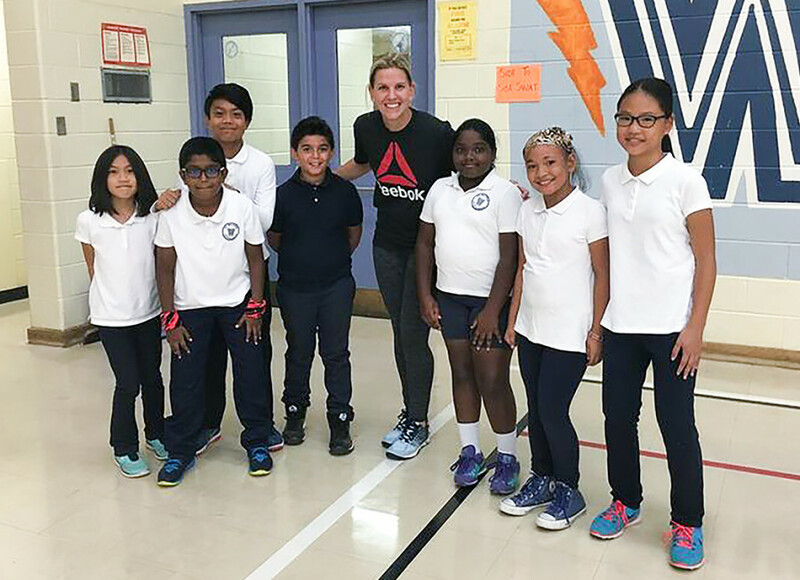 BOKS’ one-hour sessions—comprised of running, movement exercises and a group game—are designed to not only improve the overall health of participating students, but also student performance in the classroom. St-Pierre only assumed the position of Eastern Canada Regional Coordinator at Bring Our Kids’ Success six weeks ago. Nevertheless, she has been quick to make an impact. She has been doing a lot of outreach with local schools in an effort to get them to enroll in the program. 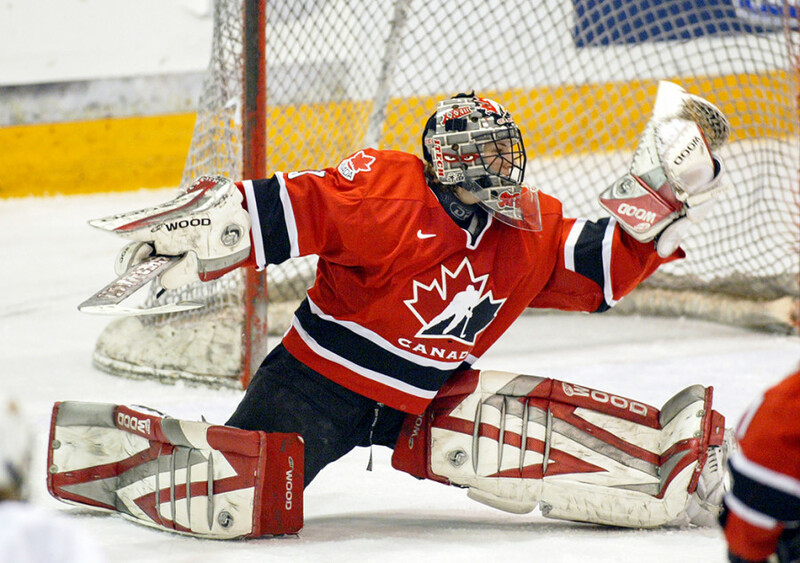 The former Team Canada goaltender meets regularly with parents, teachers, students and athletic directors of participating schools to get feedback about the group’s work. During these meetings, many of the program’s effects amongst students are discussed, such as the improved concentration levels of the children during class. The integration of all grade levels in the program, from kindergarten to grade six, is also seen as beneficial since it allows for camaraderie to develop among different age groups. St-Pierre also participates in early-morning sessions with the children. A portion of the program, known as the “BOKS Bit,” is reserved at the end of the session. St-Pierre tells the story of how she was repeatedly rejected from the Quebec provincial team, and put down by her opponents on the ice while playing in all-boys bantam and midget teams. Undeterred by these setbacks, St-Pierre persevered, eventually earning a spot as the starting goaltender for Team Canada at the 2002 Salt Lake City Olympic Winter Games. “To make it to the Olympics and win a gold medal against a really good American team, that was my favourite moment,” St-Pierre said. She would lead her nation to a gold-medal in her inaugural Games, followed by two more trips to the top of the podium—Turin in 2006 and Vancouver in 2010. She eventually earned five more gold medals tending goal for Canada at the World Championships over the course of her 15-year professional career. Caroline Ouellette grew up playing sports with St-Pierre then became her teammate on all those gold medal-winning squads. She also played with St-Pierre for a part of three seasons with the Montreal Stars, of the Canadian Women’s Hockey League, until St-Pierre’s retirement in 2013, earning two Clarkson Cups in the process. Beyond her goaltending prowess on the ice, Ouellette recalls how, despite being a “quiet leader,” St- Pierre’s voice in the locker room resonated loudly amongst her teammates. Ouellette has called on St-Pierre’s leadership skills and goaltending expertise as part of her elite-level hockey camps in Montreal and Paradise, N.L. Ouellette could not think of a more suitable goalie coach for her program. On top of her work with BOKS, St-Pierre’s time is heavily occupied by her two young boys, aged two and four. It should come as no surprise that her children are already leading active lifestyles. St-Pierre is oftentimes overwhelmed by the admiration shown to her by other youngsters, eager to see and touch one of her gold medals. She is quick to give them some fast advice.